first solar Archives - Page 3 of 5 - Solar Love! Home Tags Posts tagged with "first solar"
First Solar, the world’s largest manufacturer of thin-film solar photovoltaic cells and modules, has bettered its record of producing the most efficient solar cell. The US-based company recently announced that a cell manufactured at its Ohio manufacturing factory and research & development center achieved an efficiency of 21%, the highest on record by a non-concentrating cadmium-telluride (CdTe) cell. The efficiency of the research cell, certified by Newport Corporation’s Technology and Applications Center (TAC) PV Lab, is 3% more than a cell manufactured by First Solar in February 2014. The encouraging fact about the cell is that it has been constructed using processes and materials designed for commercial-scale manufacturing, thus making is possibly easier for First Solar to quickly switch to the cell’s mass production. The new cell’s efficiency is now second only to a concentrating version of the CdTe cell in the thin-film solar cell domain. Within the non-concentrating segment, the second-highest efficiency was achieved by a Copper Indium Gallium Selenide (CIGS) cell at 20.9%. Solar Frontier made that cell earlier this year. First Solar has also gone a notch up on multi-crystalline silicon cells, whose efficiency peaked at 20.4% in 2004. Also, as noted in a recent CleanTechnica exclusive, First Solar module efficiency doesn’t drop as much in hot temperatures as crystalline silicon solar modules. The company will now look to replicate its success in the production facilities. The average production module efficiency in Q2 2014 reached 14%, up 0.5% from Q1 2014 and up 0.7% from FY2013. First Solar has set a target to enhance research cell efficiency to 22% in 2015. Steady improvement in cell efficiency is critical for First Solar’s ability to sustain big sales and churn out profits. The recently announced second quarter financial results reveal that the company’s net sales were $544 million, a massive decline of $406 million compared to the first quarter. The company is facing competition from cheap Chinese modules and anti-dumping duties in major solar power markets like India. One of the leading solar PV module manufacturers in the world, First Solar, is now in the process of acquiring Skytron Energy — a German company with the 4th largest fleet of monitored solar PV projects in the world. A subsidiary of AEG Power Solutions, Skytron Energy has installed monitoring and control systems in over 600 solar plants across Europe — for a total peak capacity of 5 GW. That’s more than a doubling of First Solar’s current portfolio of monitored assets. While it looks like the acquisition is very likely to go through, there are still some potential obstacles — the acquisition is subject to consent by the German merger control authorities. The exact terms of the deal haven’t been released yet. The acquisition supports First Solar’s initiative to provide full, end-to-end energy solutions that vertically integrate solar services and solutions. It broadens First Solar’s portfolio of energy assets operated and maintained by the company and establishes an opportunity to offer additional value-added services to both existing and new customers in Europe. In related news, Skytron Energy (very) recently successfully commissioned its park controller at the new 15.2 MW Bambous solar plant in the Rivière Noire district of Mauritius. First Solar is continuing to do quite well, based on the most recent numbers released by the Arizona-based thin-film module manufacturer. An 89% boost (to $112 million dollars) in net profit as compared to the previous year, and a 26% year-on-year increase in net sales (up to $950.2 million dollars) ain’t too shabby. The company has also reported 404 MW worth of new bookings during just the first three months of 2014. One of these bookings is the 53 MW Shams Ma’an project in Jordan. Total revenue also rose significantly, up $182 million from the fourth quarter of 2013. The company has attributed much of the increase in revenue to the Campo Verde project. The 139 MW Campo Verde Solar Project in California was sold last year to Southern Company subsidiary Southern Power and Turner Renewable Energy. Roughly 65% of the company’s revenue stems from the construction and sale of utility-scale solar farms. The company has identified 12.2 GW of potential new contracts over the next few years, with 59% coming from projects outside the US and “widespread utility scale interest in the US,” Hughes said yesterday during a conference call. Net income in the first quarter rose to $112 million, or $1.10 a share, from $59.1 million, or 66 cents a share, a year earlier, the company said in a statement yesterday. That was more than double the 50-cent average of nine estimates compiled by Bloomberg. In related news, First Solar just recently reported that it had set a new world record for cadmium-telluride (CdTe) photovoltaic (PV) module conversion efficiency, something which should further help the well-regarded solar company continue to be a market leader. The new record stands at 17% conversion efficiency — a pretty big boost from the previous record of 16.1%. Enjoy the beautiful line of diversity and the faces of happy folks breaking ground on the 250 MW Solar Project of the Moapa Southern Paiute Solar Project. Community, government, and energy industry leaders symbolically joined on March 21st to actively commemorate the start of construction for the project. 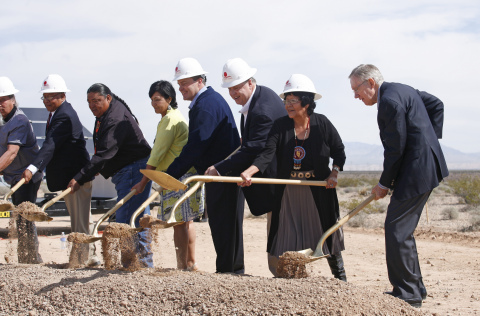 (From right to left) US Senate Majority Leader Harry Reid joins Moapa Band of Paiutes Chairwoman Aletha Tom, First Solar CEO James Hughes, LADWP director of power system planning and development Randy Howard, and the Moapa Band of Paiutes Tribal Council to break ground on the 250 MW Moapa Southern Paiute Solar Project. The power plant, anticipated to be fully operational by the end of 2015, is expected to generate enough clean solar energy to serve the needs of more than 93,000 homes. This amount of renewable energy will displace approximately 313,000 metric tons of carbon dioxide (CO2) annually—the equivalent of taking about 60,000 cars off the road. The project will play a key role in LADWP’s efforts to build a clean energy future by expanding renewable energy to 33 percent of its total power supply and eliminating coal power. Solar energy from the Moapa plant will contribute 2.4 percent toward LADWP’s renewable energy portfolio. This transformational goal also includes reducing energy use by at least 10 percent through energy efficiency measures; expanding local solar and other forms of distributed generation; initiating a robust demand-response program; and rebuilding local power plants to better integrate renewable energy and be more flexible to meet peak demand. The Moapa Band of Paiutes is part of the Southern Paiute Nation with a mission to preserve its homeland, particularly the 72,000 acre Moapa River Indian Reservation, by building an independent and self-governing community and providing opportunities for economic, educational and cultural growth. The Paiutes respect and honor the land and all living things upon it, and the Tribe has the ability to be a front-runner in the clean energy field. The Tribe also operates farms, the Moapa Travel Plaza, a sand and gravel operation and has other future plans for expansion at the Valley of Fire area. US-based First Solar has led the utility-scale solar league for awhile now, but the latest statistics for utility-scale solar construction (EPC contracts) put it way out in the lead. 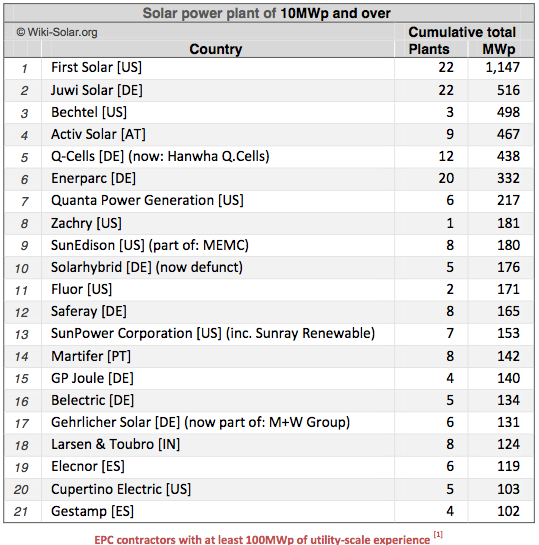 As you can see in the Wiki-Solar table below, First Solar now has built 1,147 MW of solar power capacity at solar farms 10 MW in size or bigger. Second is Juwi Solar, at 516 MW. “More than half of the companies in the list are European solar specialist EPC contractors, many of which have successfully diversified internationally, as their home markets have been squeezed,” Wiki-Solar adds. One more big note is that a couple of large, multinational, general engineering companies — Bechtel and Fluor — have made it into the top 11. It’s amazing to see how fast this sector is growing. Thin-film solar market leader First Solar recently reported its largest quarterly decline in CdTe module costs per-watt since 2007, as part of its third quarter 2013 financial results report. The notable decline represents a significant milestone in the company’s goal of becoming the lowest-cost PV manufacturer in the industry. First Solar attributes the achievement to the implementation of its manufacturing cost reduction program — a program which was detailed earlier in the year at the company’s “Analyst Day” event. Hughes went on to highlight even lower manufacturing costs, noting that First Solar’s conversion efficiency roadmap targets and manufacturing improvement program as well as cost saving initiatives, revealed a US $0.57/W, excluding plant underutilization. Importantly, the company demonstrated that it had met its conversion efficiency roadmap targets this year. First Solar also said that in October, 2013 it’s lead production line averaged module efficiencies of 13.9% and expected all lines to reach 13.9%, over the next few quarters. Taking the 14.1% module efficiency achieved on its best line at its Perrysburg facility, First Solar said that this pointed to a cost per watt of US $0.49. By comparison, Solar Frontier recently reported that its latest record-holding CIS thin-film module had achieved a conversion efficiency of 14.6% — with volume production modules currently somewhere above about 13%. Mainstream multi-crystalline modules currently possess an average conversion efficiency of about 15%. 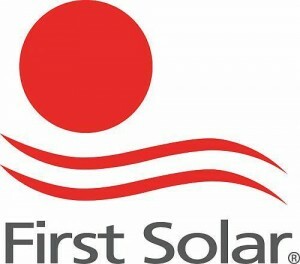 First Solar continues to expand as the largest solar company in the world. First Solar today announced that it has bought the 250 MW Moapa Solar Project from K Road Power Holdings LLC. The Moapa Solar Project — located on the Moapa River Indian Reservation in Clark County, northeast of Las Vegas, Nevada — is not complete but is in an advanced stage of development. Depending on how you count, if the solar power plant were completed today, it would be the second- or third-largest solar PV power plant in the world… depending on how you count. It already has a 25-year Power Purchase Agreement (PPA) set with the Los Angeles Department of Water and Power (LADWP). 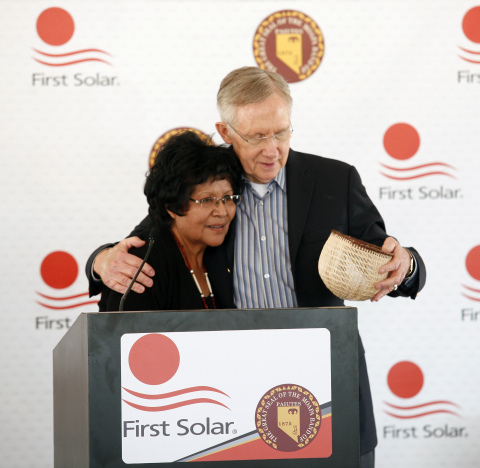 The Moapa Solar Project was also “the first large-scale solar project approved to be built on tribal land in North America,” First Solar notes. First Solar Set To Install 1.1 GW Of Solar In 2013! First Solar has plowed through the solar business difficulties of the past few years. And it is looking to push through strong to the other side. As one checkpoint along the way, it looks like First Solar is set to be to first solar developer to install over 1 GW (1,000 MW) of solar power within one calendar year. IHS solar revealed last week that First Solar is likely to install about 1.1 GW of solar in 2013. First Solar started out simply as a thin-film solar module manufacturer. However, it eventually slid into a developer role as well, a role that seems to be serving the company quite well. In 2012, it installed about 516 MW of solar power projects. 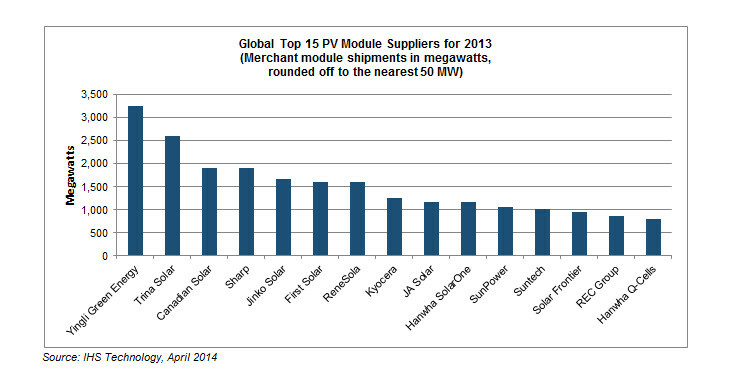 Globally, it was actually the #1 solar developer and the #2 solar module manufacturer in 2012. Hitting 1.1 GW this year would mean a more than doubling of annual installation capacity. “First Solar’s successful strategy of acquiring, installing and divesting projects will keep the company among the world’s leading solar system integrators over the next years,” said Josefin Berg, senior analyst for downstream solar research at IHS Solar. PV Magazine adds: “First Solar has also been moving into emerging solar markets and IHS Solar notes its acquisition in January of Solar Chile, which delivered it a 1.5 GW pipeline in the South American country. Are Solar Stocks On The Rise Or About To Fall Again? Depending on who you ask, solar stocks are always either on the rebound and about to rise indefinitely, or about to fall further than they have for the past few years. A handful of years ago, solar incentives from several governments and falling solar costs led to a big boom in solar power growth around the world. Following that, solar manufacturing capacity ramped up fast. Unfortunately, shaky, dropped, and sometimes even retroactively cut solar incentives led to a massive oversupply of solar panels and solar cells. This resulted in a long and steep solar technology cost drop. While great for consumers, the cost drop severely squeezed the profit margins of solar manufacturers, even taking down some big ones. In line with the falling profit margins, solar stock prices plunged. This year, with supply more adequately matching demand and solar manufacturers picking up steam, stocks have started to rise again. Several companies have seen noticeable stock price growth. Here are a few screenshots of 1-year stock price trends from some of the top solar companies.